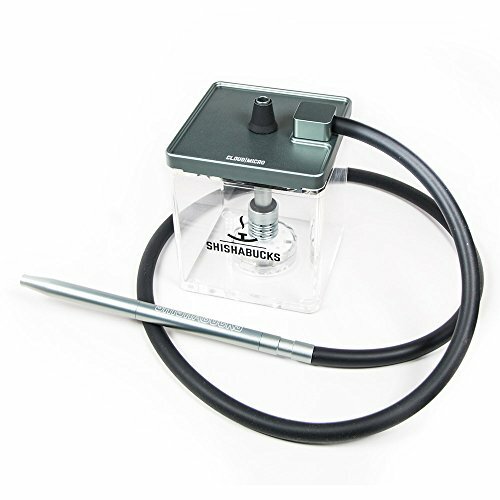 Modern travel-size cube hookah from anodized aluminum with acrylic base. Features patent-pending 4-corner invisible purge. All parts of hookah (hose, hose handle, downstem, led light, bowl, heat manager device, shisha, coals) fit inside the acrylic base for easy transportation. Comes with a portable bag. If you have any questions about this product by Shishabucks, contact us by completing and submitting the form below. If you are looking for a specif part number, please include it with your message.